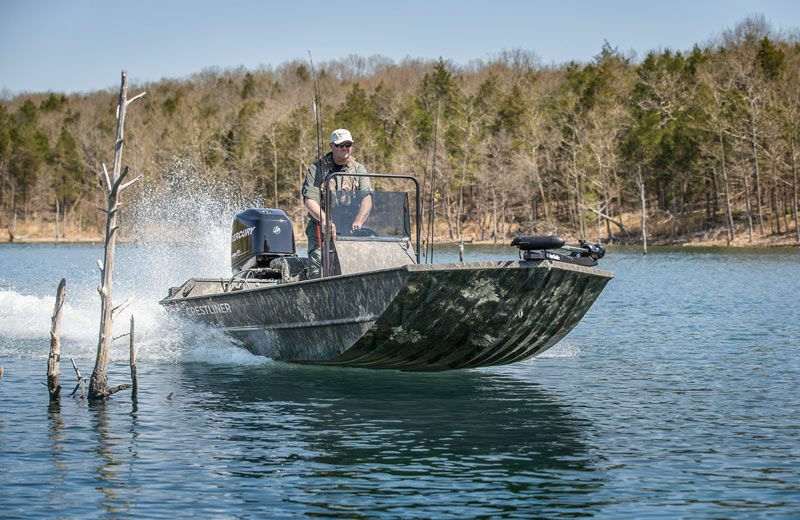 One of the newest additions to the Retriever series, the 1870 Retriever FCC is an 18-foot forward center console boat built to give you a maximum line of sight and features a jet engine tunnel hull so you maneuver shallow waters and go where other boats can’t. 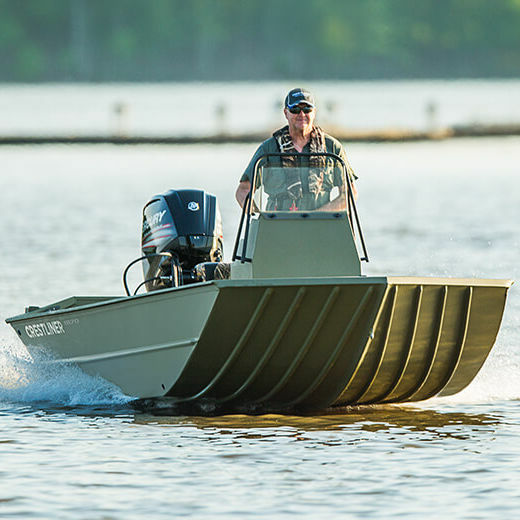 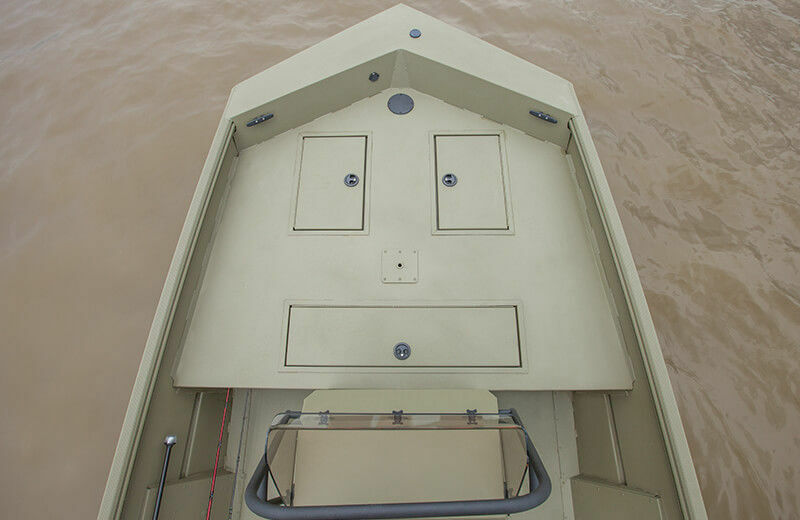 Not only is the 1870 capable of reaching the shallowest sweet spots, but the all-welded construction of the forward center console aluminum boat is durable enough to withstand even the rockiest shorelines.Similar to the other models in the Retriever family, these boats are built with purpose. 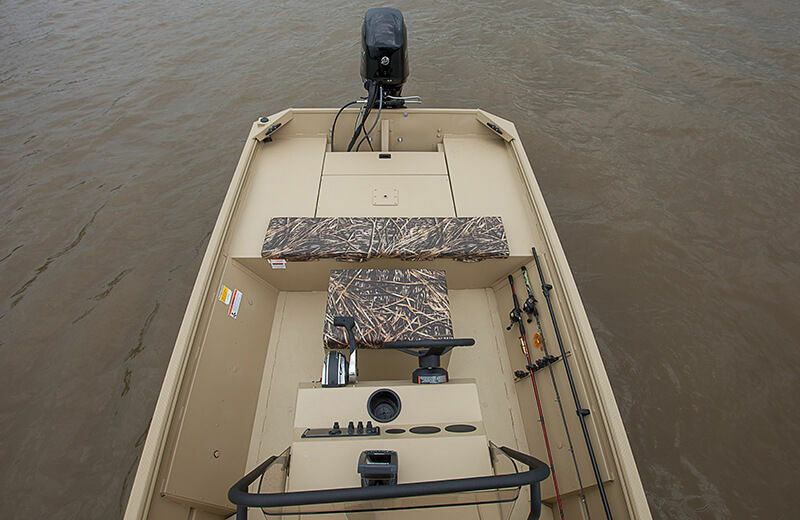 The 1870 comes standard with a 17-gallon livewell, ample storage, and room for up to seven fishing or hunting buddies. 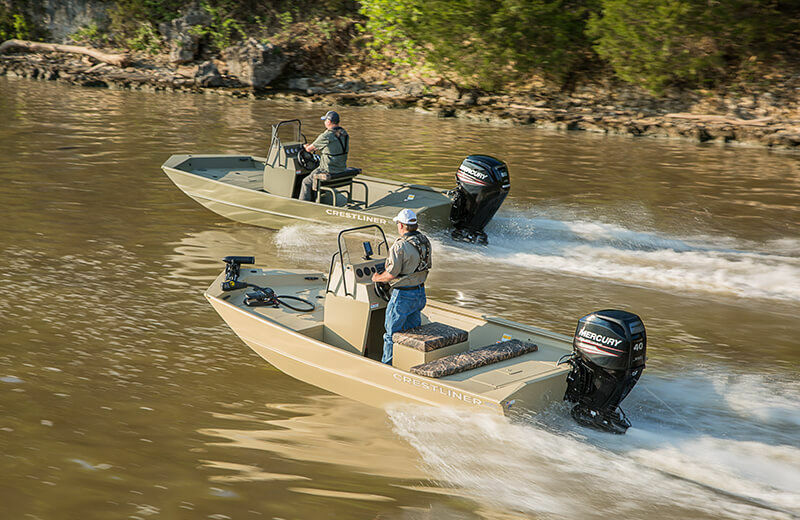 When you want to see what’s ahead, you’ll want the 1860 Retriever FCC under foot.